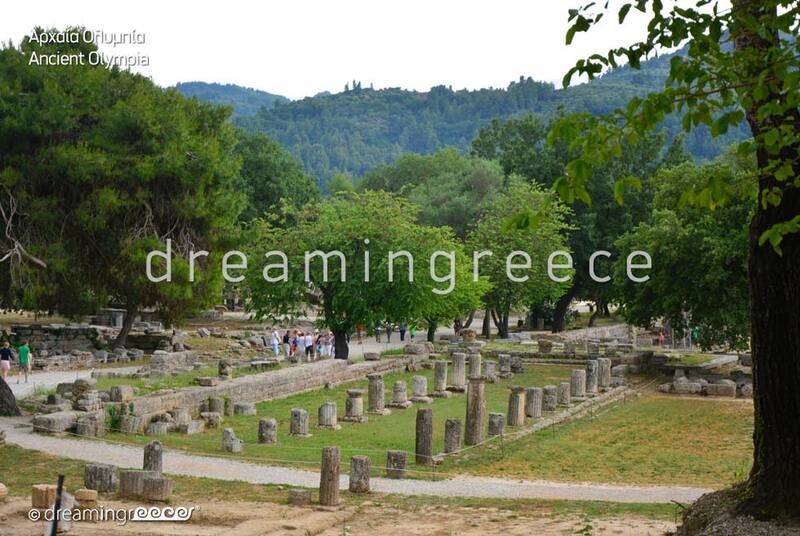 In a verdant valley of the western Peloponnese, at the so-called "Valley of the Gods", Ancient Olympia, the famous temple of Olympian Zeus and the birthplace of the Olympic Games unfold. 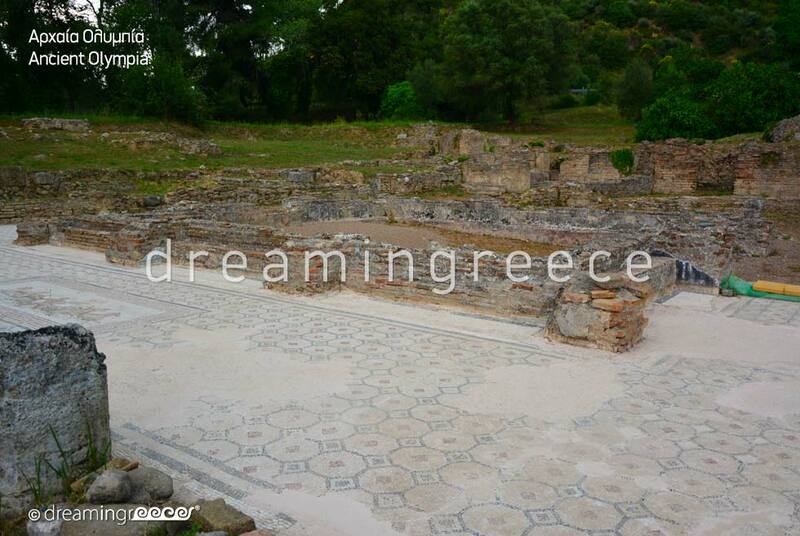 The visit to the archaeological site is a unique experience which will take you back in time! Buildings dating from the Archaic period to the end of antiquity, compose a special mixture in which different centuries are reflected... 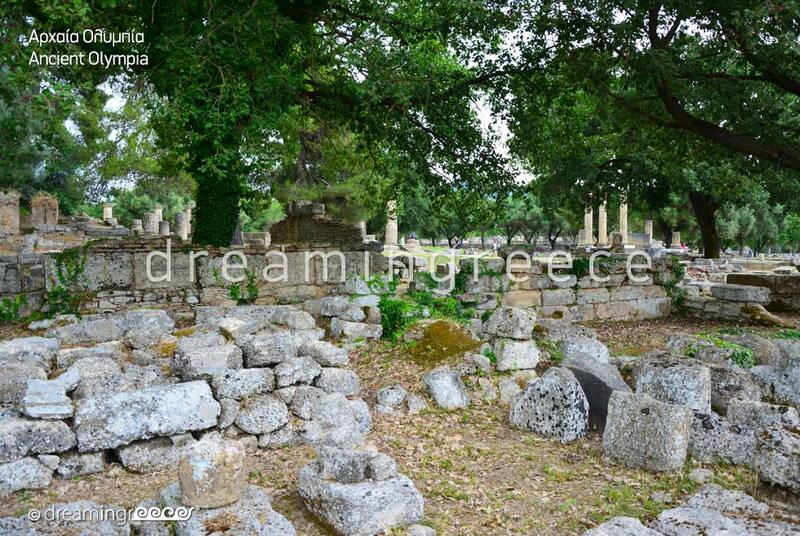 Your tour in this important archaeological site can start from the Altis; the sacred grove of Ancient Olympia. The area is well-tagged, providing information about the history, architecture, religious worship and excavations. In the most prominent place of the sanctuary, the ruins of the majestic temple of Zeus, where Zeus’ famous gold and ivory statue used to be; it was Phidias’ work and is included amongst the Seven Wonders of the Ancient World, dominate. Within walking distance from the temple, there is Phidias’ workshop; the place where the sculptor was inspired to create the statue. 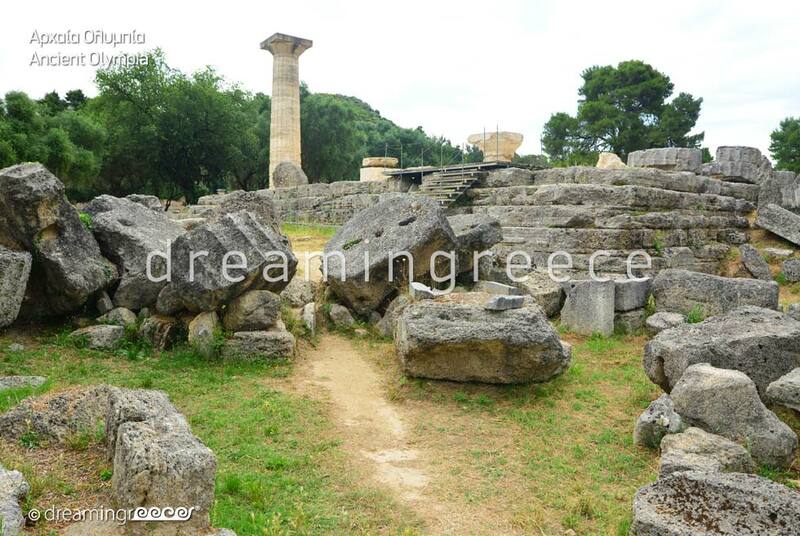 Opposite to the temple of Zeus, stands the oldest temple of Hera. Today, on the altar which is in the area of the temple the Olympic flame is lightened for both Summer and Winter Olympic Games. 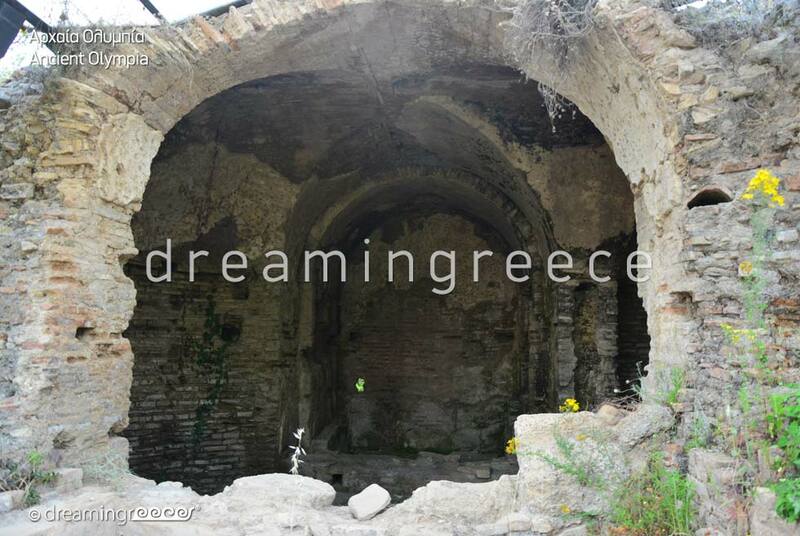 Within the sacred grove, other important buildings, including the Prytaneion, the seat of the Priesthood, the Gymnasium, the Leonidaion the Philippeion and the Registry dominate. 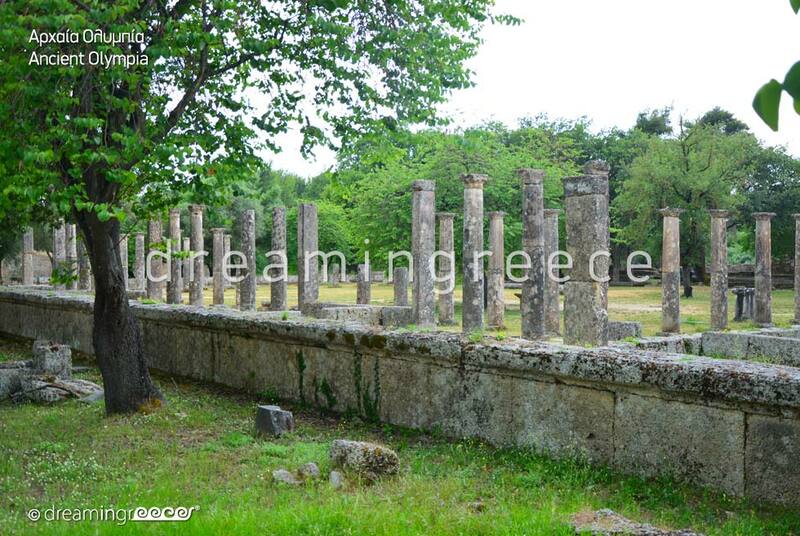 After Altis, continue your tour, passing the Stoa of Echo, which separates the sacred grove from Olympia Stadium. 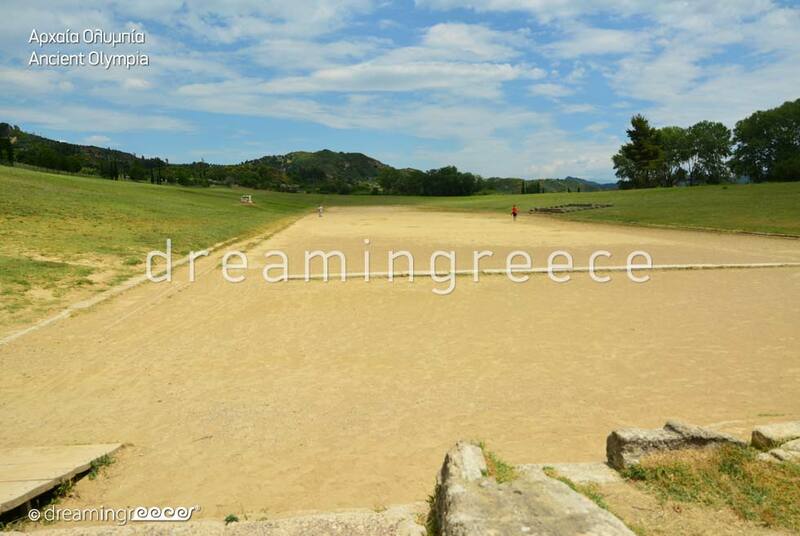 This is the site from which the athletes, the heroes and the judges entered the stadium. The image of the imposing stadium with the eerie splendor will leave you speechless! There are few visitors who cross the Stadium running, trying to feel its mysterious energy! 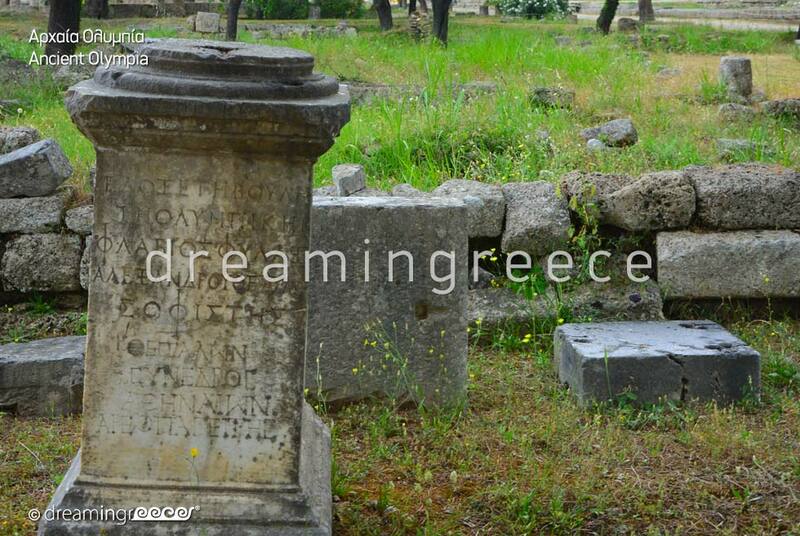 After you complete your tour in the archaeological site, you can visit the Archaeological Museum of Olympia, which is rightly included among the most important museums in Greece. 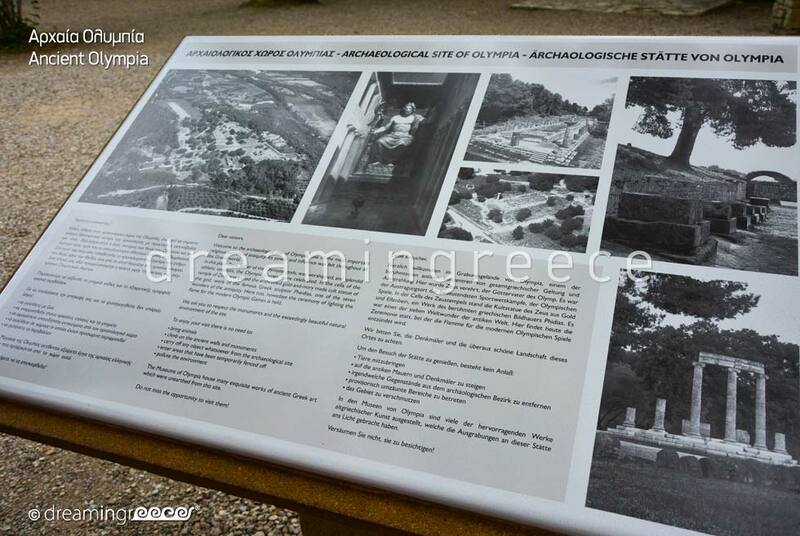 There, important discoveries, including the famous Hermes of Praxiteles, Nike of Paionios and pediments of the temple of Zeus are exhibited. In addition, the museum is famous for its sculptures’ exhibition and the collection of bronze objects. 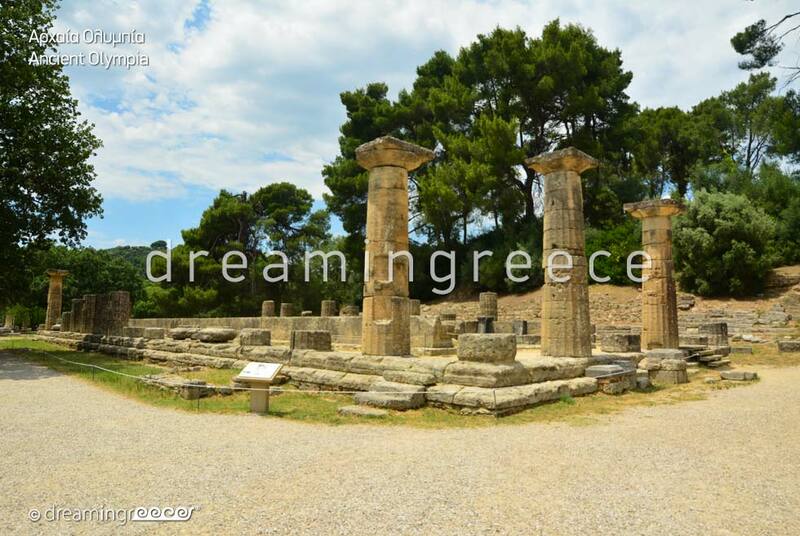 It is also worth visiting the Museum of History of the Ancient Olympic Games, which is housed in the renovated neoclassical building of the "Old Museum"; the first Archaeological Museum of Olympia. 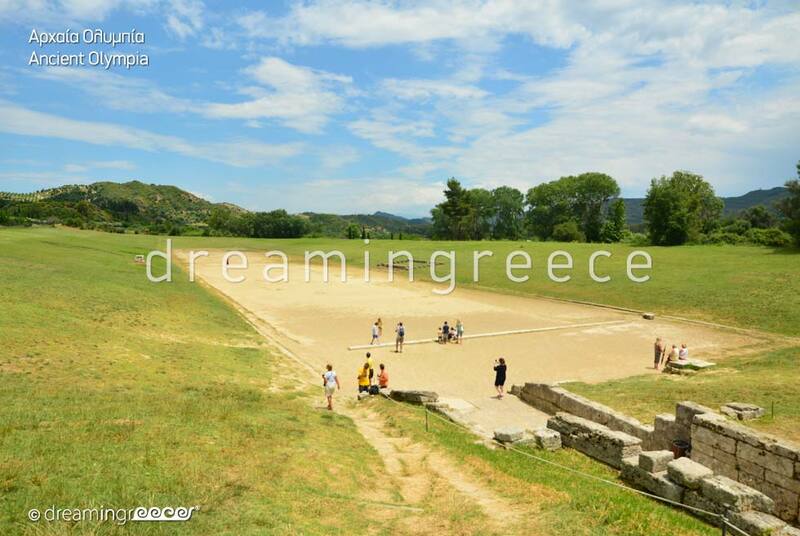 Of great interest are also the Museum of Modern Olympic Games (currently closed) and the Museum of the History of the Excavations in Olympia. There, the magical journey in history and time ends! 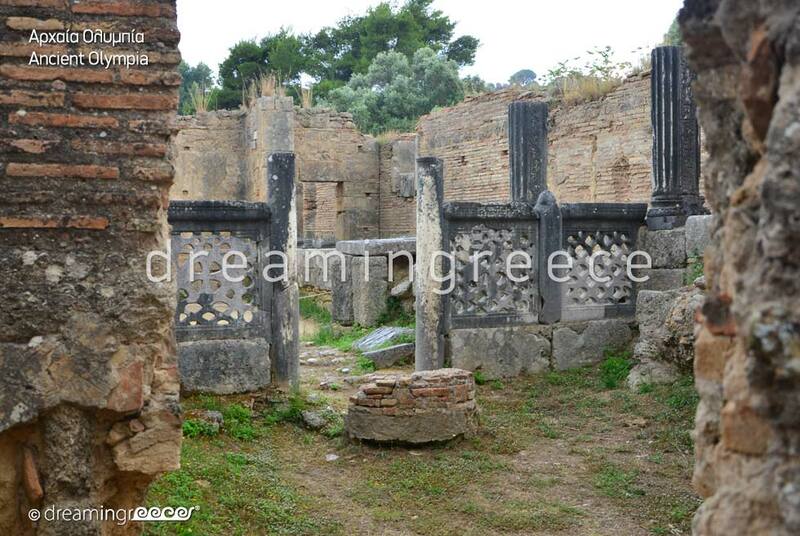 You can browse now through the cobbled streets of Olympia village, where you will find taverns and countless shops with souvenirs and gifts. 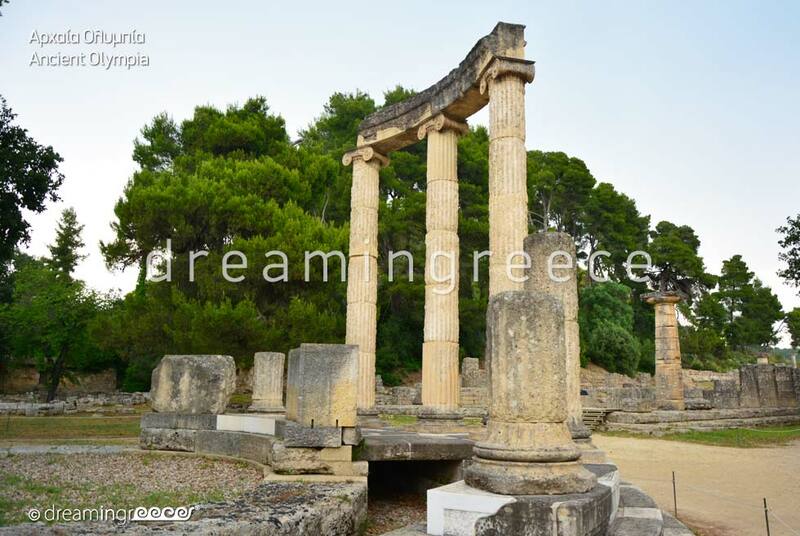 Besides the invaluable historical and archaeological significance of Ancient Olympia, the surrounding area also has "corners" of indescribable beauty! Stroll around the enchanting landscape of the river Alpheus, visit Caiaphas spas, discover the "hidden treasure" of the waterfalls of Neda and walk in the dreamy Foloi forest! If you are adventurous enough, you can indulge in various activities such as hiking, biking, rafting, canoe and kayaking. Ilia or Elis Prefecture offers several options for swimming. In Giannitsochori you will find an extensive sandy beach, with crystal clear waters. One of the most beautiful beaches in the area is the organized Zacharo, which is famous for its beautiful and vast sand. Do not leave the beach without enjoying the glorious sunset. In Kaiafas, in a setting of unspoilt beauty a huge sandy beach unfolds. In Kato Samiko and Kourouta will find sandy organized beaches. Do not forget to visit the small but cosmic Arkoudi. The beach has umbrellas and sun loungers. A unique experience is swimming in the crystal, but also icy waters of the waterfalls of Neda. 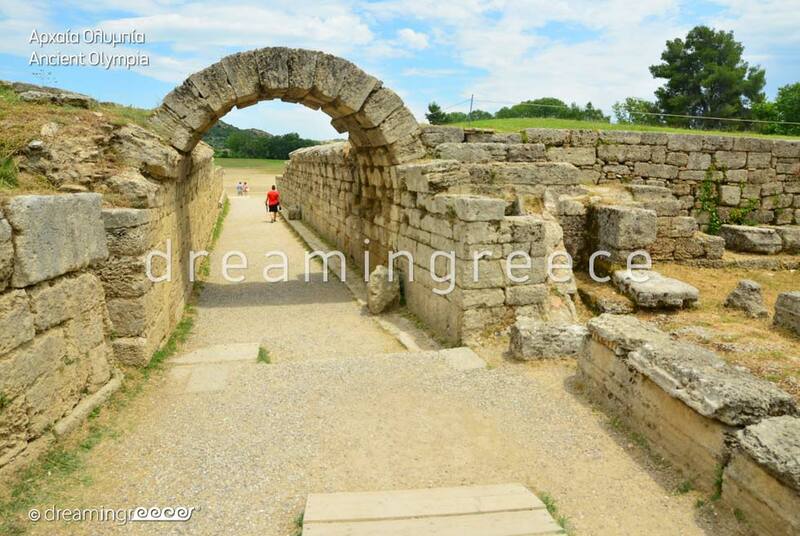 To reach the town of Ancient Olympia, you can drive from Athens via the National Highway from Athens to Corinth (265 km distance - 3 hours & 15 minutes ride approximately). 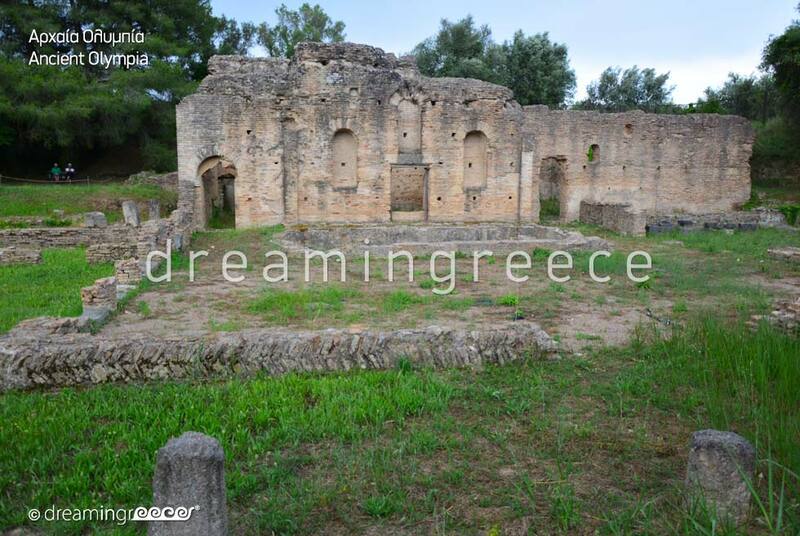 Then, you will head for Tripoli and take the exit to Vytina and Ancient Olympia. 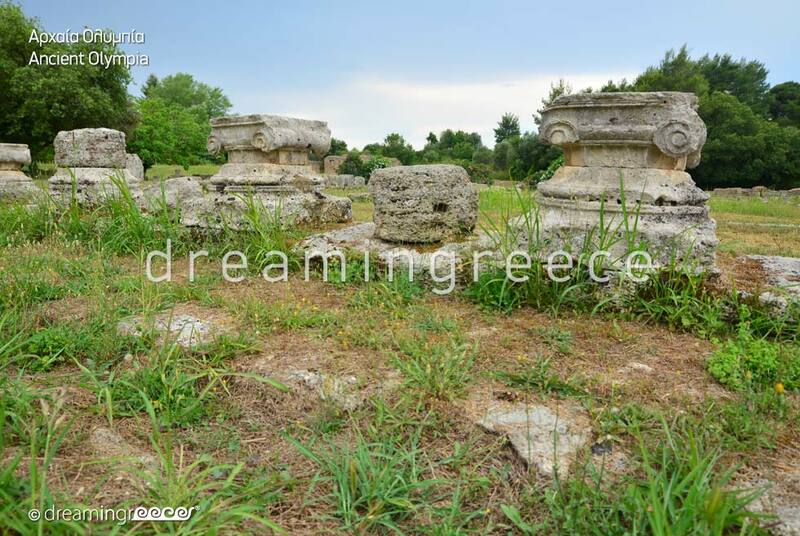 Ancient Olympia is 82 km away from Vytina (1 hour ride approximately). You can also take the Intercity Bus (KTEL Bus of Ilia) from the Intercity Bus Station of Kifissos (3 hours journey). For more information on the bus routes of KTEL of Ilia click here. 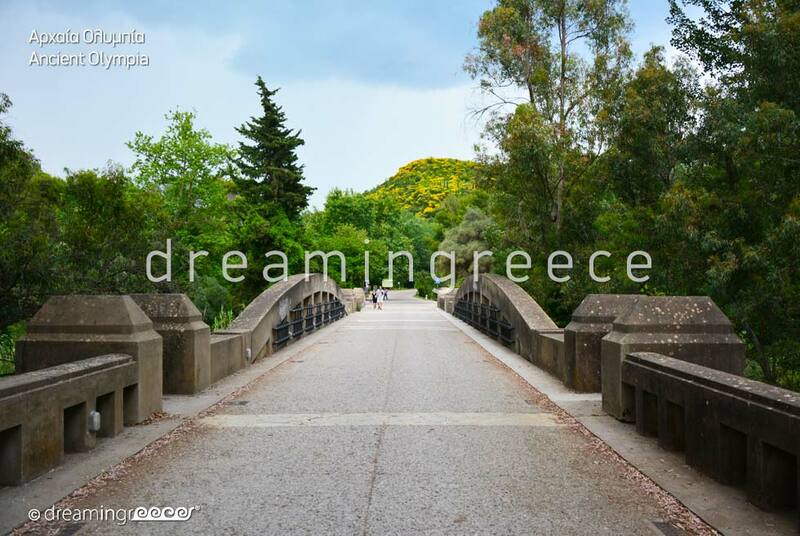 To reach the town of Ancient Olympia from Patras, you can drive via the National Highway from Patras to Tripoli (100 km distance - approximately 2 hours ride).